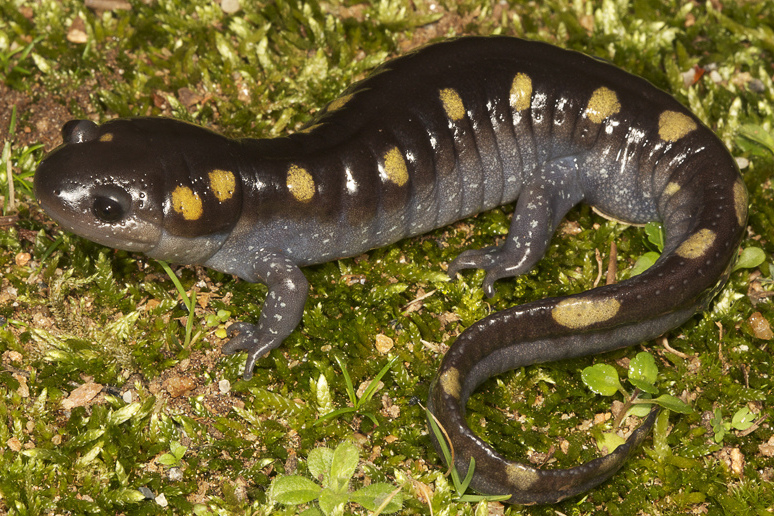 Description: The spotted salamander is a large, robust salamander with a rounded head. Adults have a black body with distinct spots on the body, tail, and head that can be shades of yellow or orange. Larvae are more greenish gray with fewer spots and a plain venter. Spots begin to become apparent after a few months. Adults can grow to be 9 inches in length. 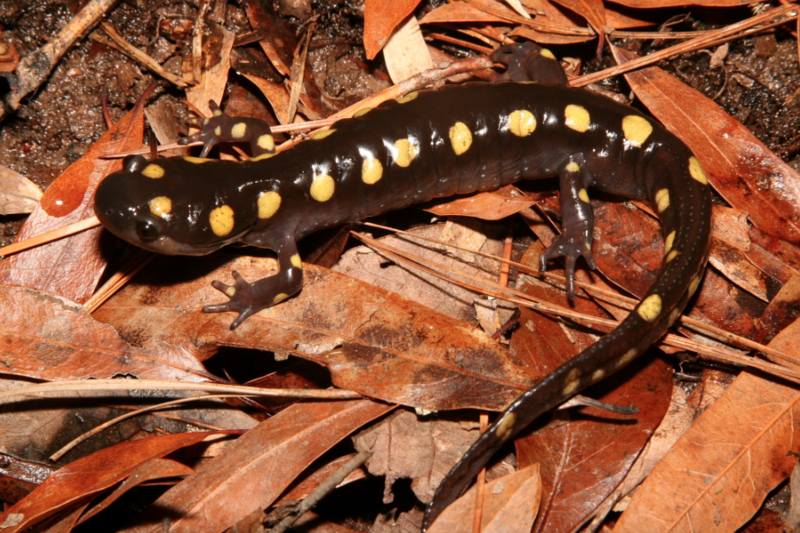 Habitat/Range: The spotted salamander can be found throughout much of the eastern United States, ranging from as far north as Canada, south into Mississippi, Alabama, and Florida, and west to the Gulf of Mexico and Texas. 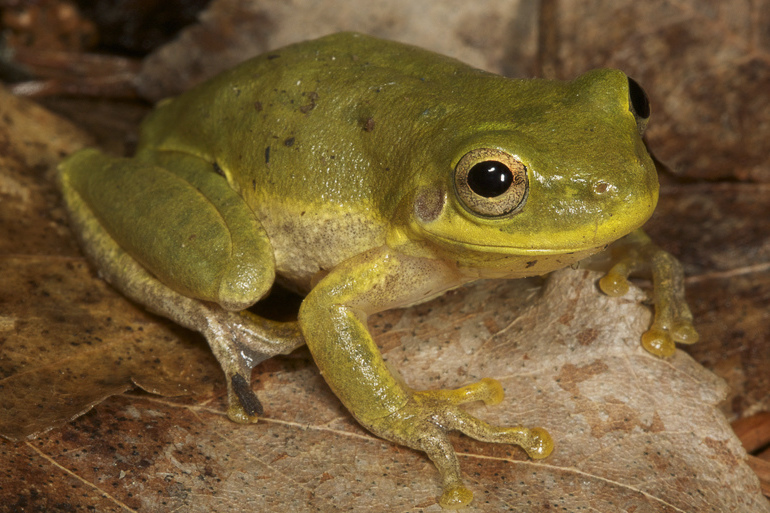 They are most common in hardwood and mixed forests, but can also be found in a number of different habitats including floodplains and other bodies of freshwater. Diet: Larvae eat small invertebrates and may sometimes be cannibalistic. 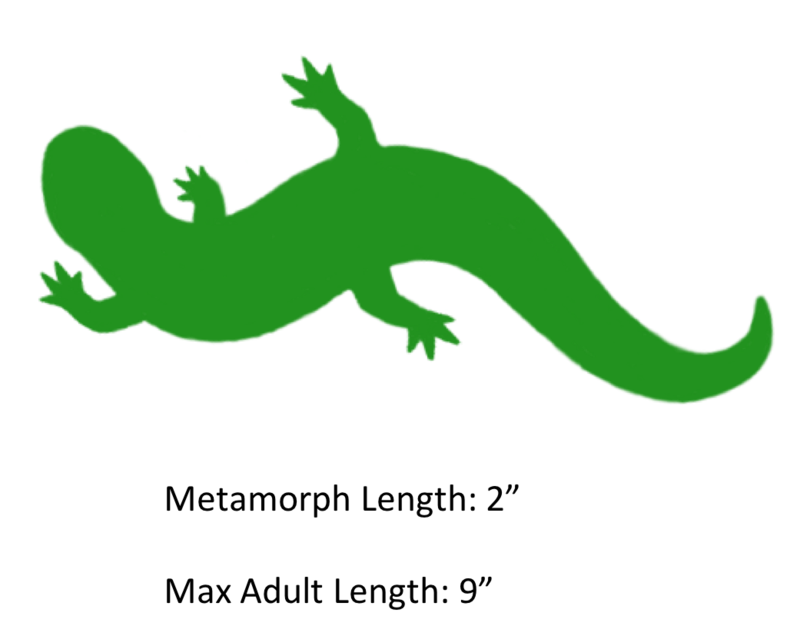 Adults can consume a wide variety of prey items such as worms, spiders, and insects. 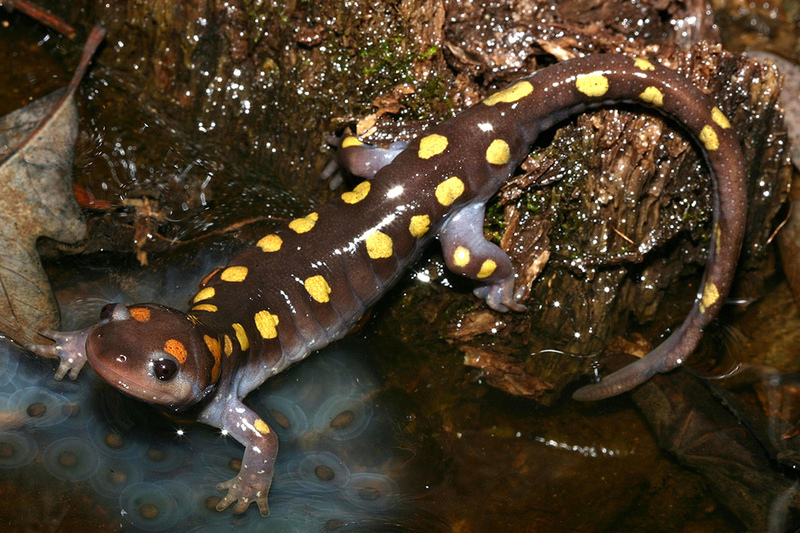 Reproduction: Adults breed in shallow freshwater pools, often in ephemeral wetlands. Males first deposit spermatophores in a breeding pond then attempt to persuade females to pick up one of their spermatophores through courtship. Egg masses can contain up to 250 eggs and are attached to sticks or grass in shallow water. Egg masses can turn green from a symbiotic relationship with algae which possibly serves to supply oxygen to the embryos. 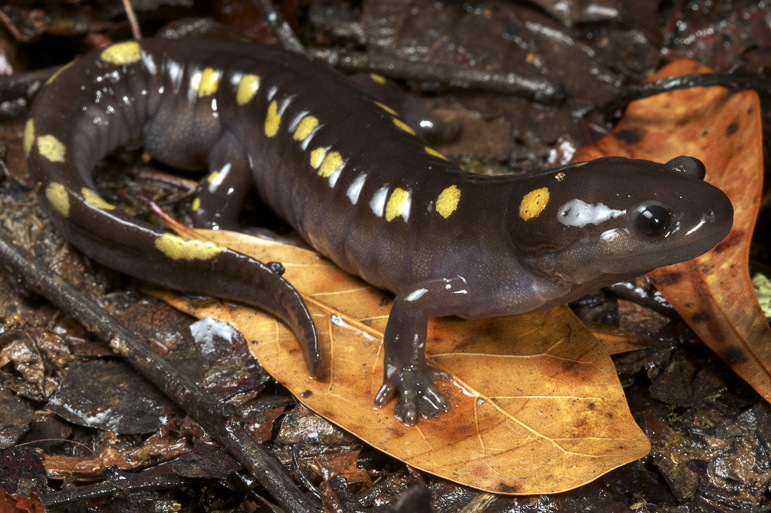 The shaded region represents the range of the Spotted Salamander in North Carolina.